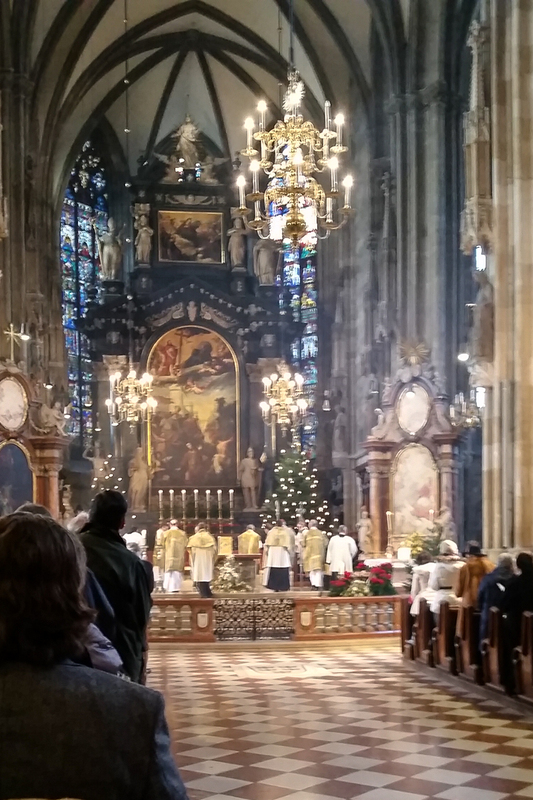 Mass for Epiphany, in Stephansdom in Vienna, 2015. 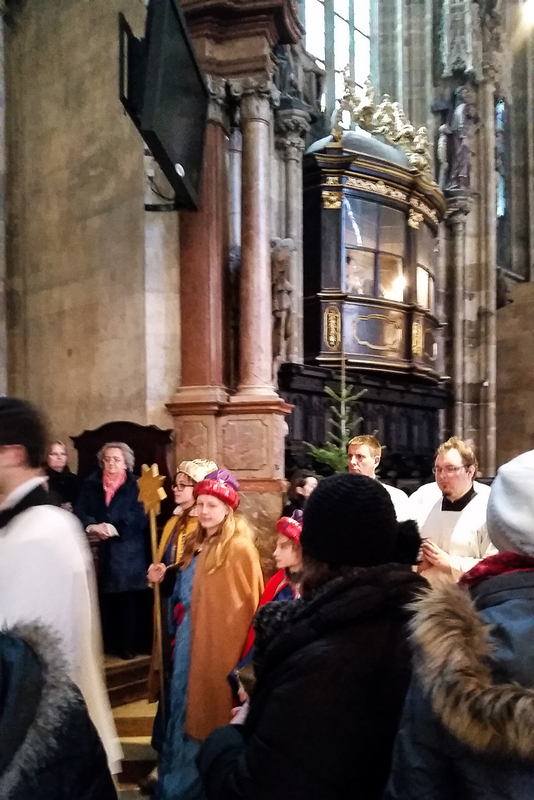 Children dressed as the Three Kings, carrying the star, at the Mass shown above. Notes on the Vigil of Epiphany: http://www.newliturgicalmovement.org/2017/01/liturgical-notes-for-vigil-of-epiphany.html . You may especially enjoy the quotation from Dom Guéranger. 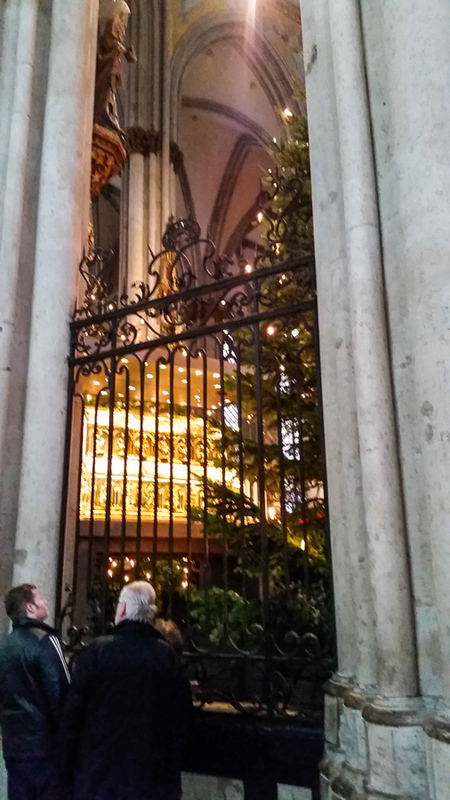 Below are more pictures of the reliquary of the Three Kings, in Cologne, Germany. This entry was posted in Christmas, Feasts and tagged Epiphany, gifts, Magi, Three Kings on January 8, 2017 by frjfkauffmann. On the twelfth day of Christmastide, January 6th, the church celebrates the ancient Solemnity of Epiphany, although in the United States the Solemnity is transferred to the weekend. We commemorate the visit of the kings to Jesus thus this is a moment of revelation to the Gentiles. 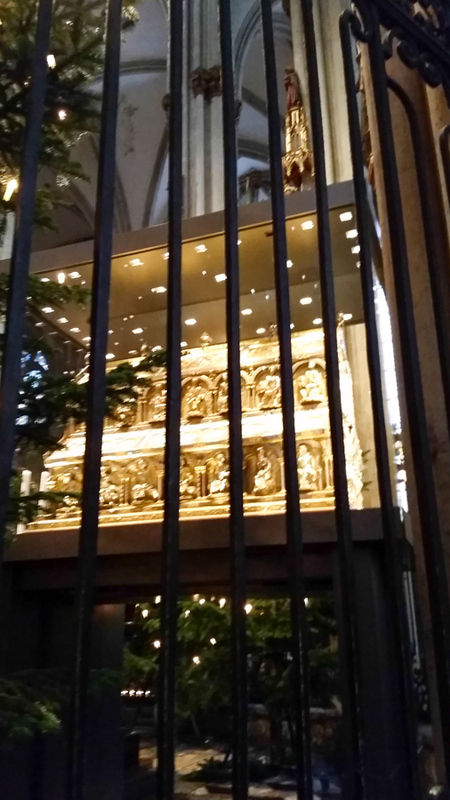 Over the next three days I will share pictures I took two years ago of the Cologne cathedral which houses the relics of the kings, as well as hymns that are associated with this solemnity. and see your children gathered from the rising to the setting of the sun. 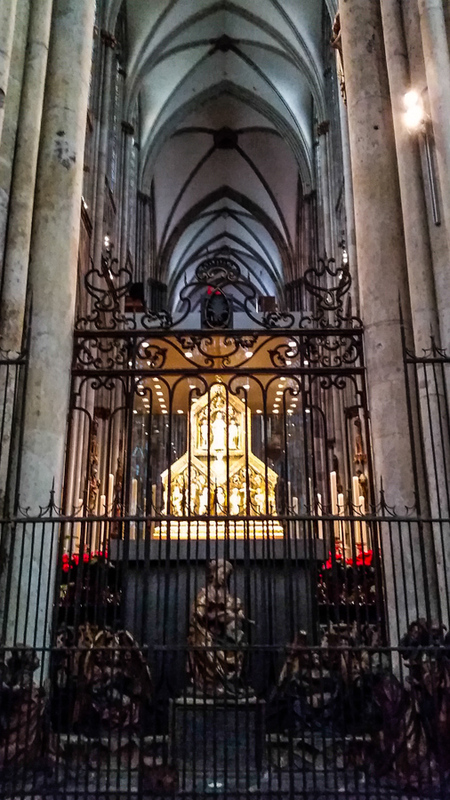 The reliquary of the three kings, in the Cologne Cathedral. and reach the brightness of our eternal home. From the Facebook page of Musei Italiani. 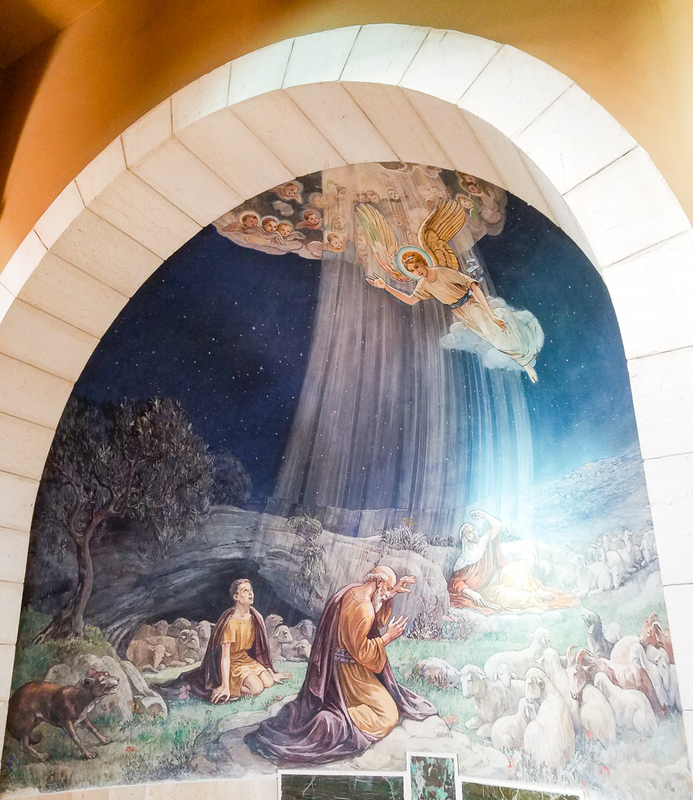 This fresco is from the Oratory of San Pellegrino in Abruzzo, Italy. 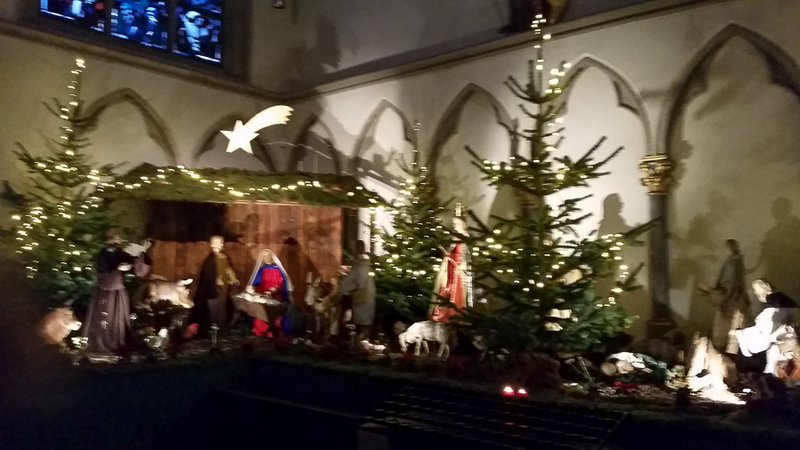 This entry was posted in Christmas and tagged Christmastide, Cologne, Epiphany, Kings, Magi on January 6, 2017 by frjfkauffmann. 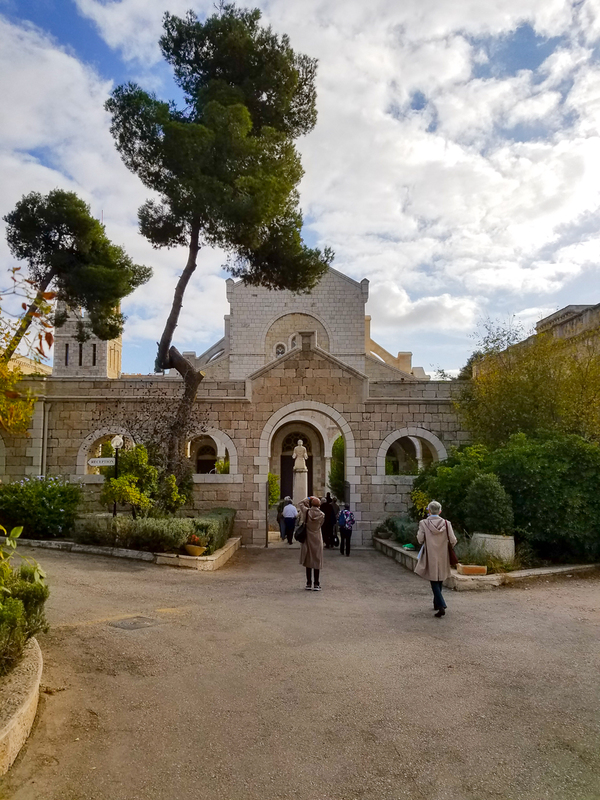 The Church of the Nativity is undergoing a 19 million dollar restoration. 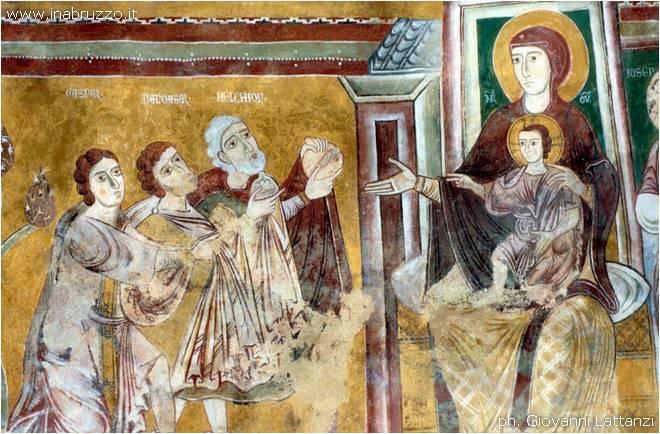 The mosaics which have been hidden for centuries are being uncovered and restored by a team of Italians. The project is being financed by the Palestinian government, the Vatican, the King of Morocco and countries and churches around the world. 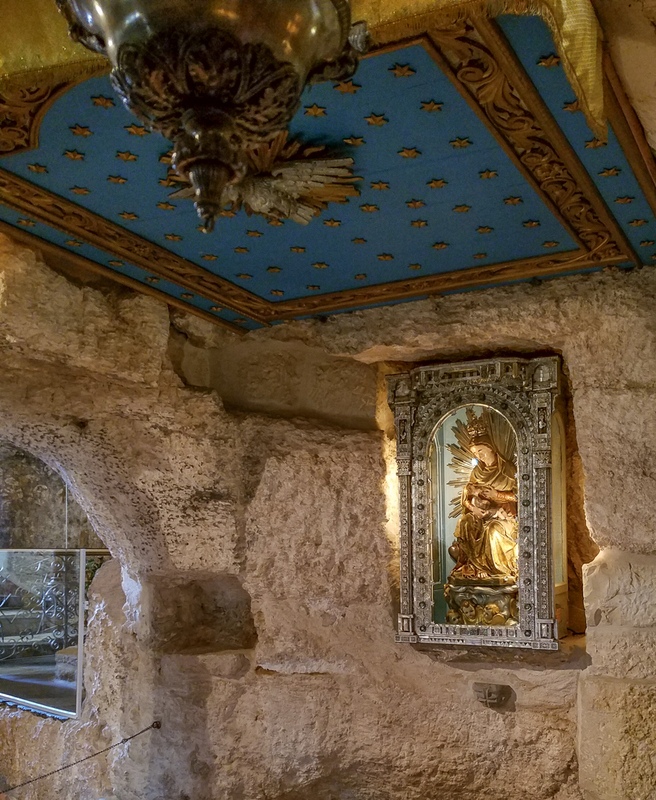 What a treasure to be restored so pilgrims can delight for many more centuries in the beauty that extols the beauty of God Incarnate in human flesh and blood. 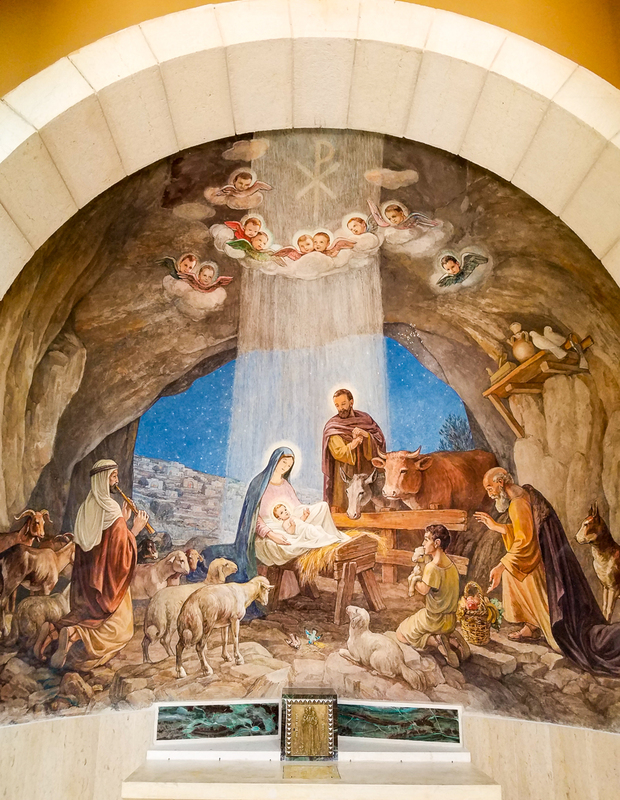 This entry was posted in Christianity, Christmas, Church Architecture and tagged Church of the Nativity, Mosaics, UNESCO on December 25, 2016 by frjfkauffmann. 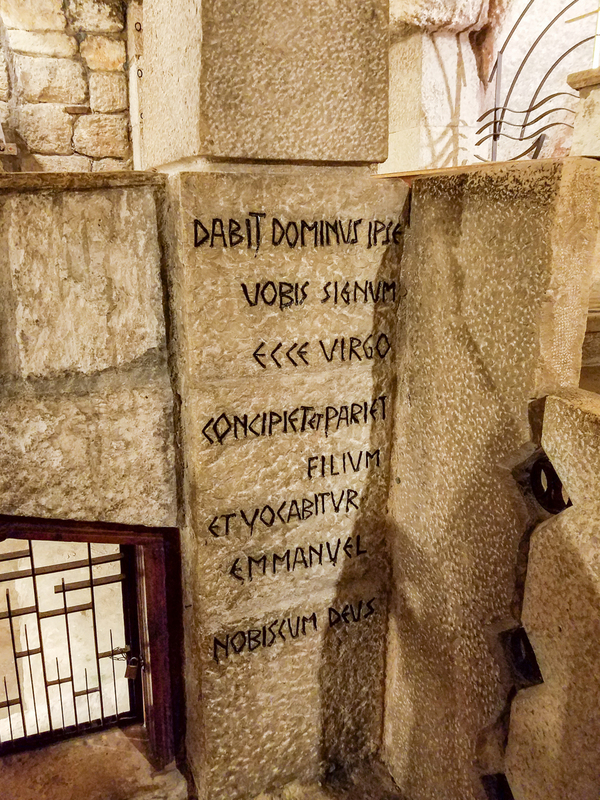 From the Church of Shepherd’s Field in Bethlehem. 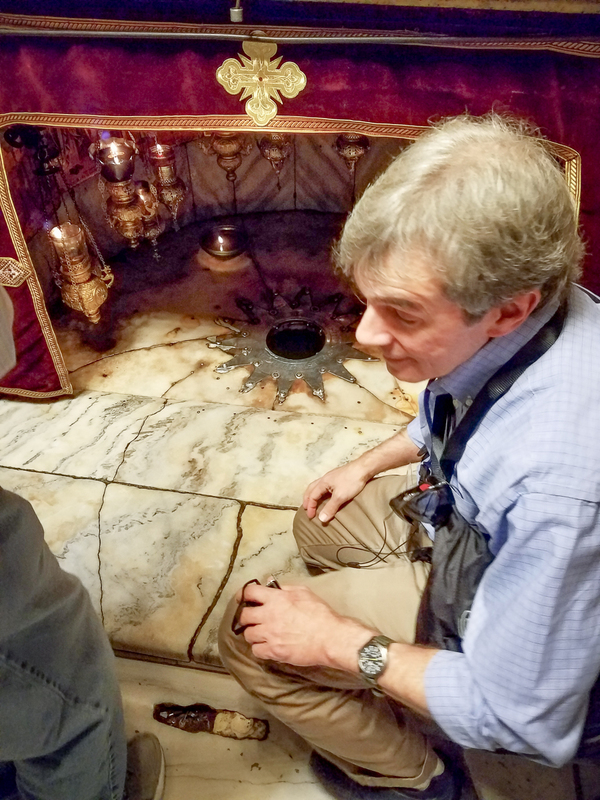 The silver star in the Church of the Nativity where Christians venerate the birth of the Savior. This entry was posted in Christianity, Christmas and tagged Christmas, Holy Land, Messiah, Nativity on December 25, 2016 by frjfkauffmann. On this Solemnity of Christmas I would like to share one of my favorite modern settings of an ancient Christian text. 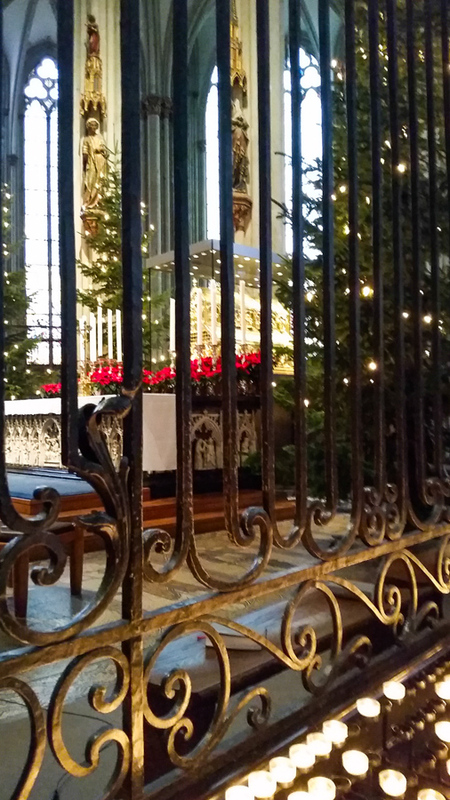 This entry was posted in Beauty, Christianity, Christmas and tagged Christmas, Morten Lauridsen, Music, mystery, O Magnum Mysterium on December 25, 2016 by frjfkauffmann. 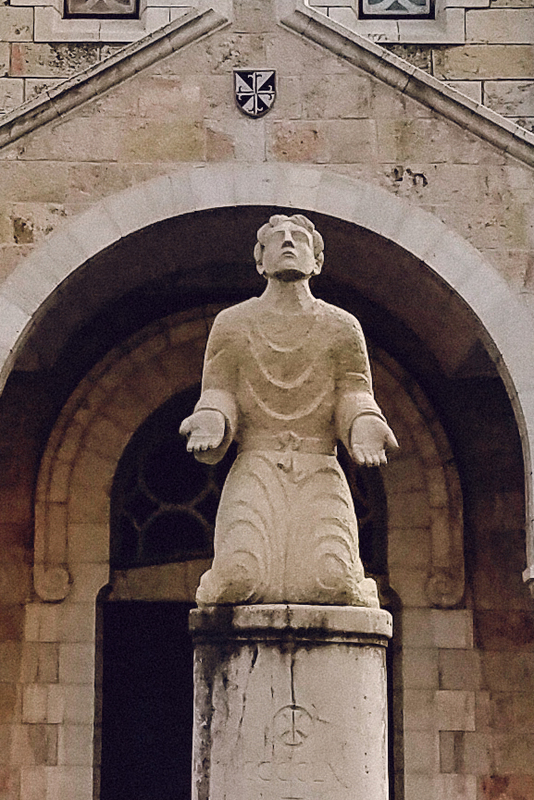 From the Church of the Nativity, in Bethlehem. This entry was posted in Christianity, Christmas and tagged Christmas, Holy Land, Nativity on December 24, 2016 by frjfkauffmann. This entry was posted in Christianity, Christmas and tagged Advent, Christmas, O Antiphons on December 23, 2016 by frjfkauffmann.